A Where’s Waldo of sorts. Can you spot what’s new in this description? Not the hunger, the lack of shelter, the fear or powerlessness. No. Extreme poverty is and was and will always be these things and more. Waldo, if you will, is the $1.90 (USD) a day global poverty line set by the Bank in October 2015. This modern line is up from the $1.25 (USD) a day established in 2009. According to the World Bank, this threshold represents the minimum amount an individual requires to meet his or her most basic needs in the world’s 15 poorest countries today. Oversimplified, to reach a new line of $1.90, the previous line of $1.25 was adjusted for inflation and based upon the average cost of a basket of goods in those countries. Here’s an in-depth explanation of the Bank’s method for establishing this standard and, thus, measuring extreme poverty. Well, not much when you consider that the new global poverty line was simply raised to reflect today’s prices. 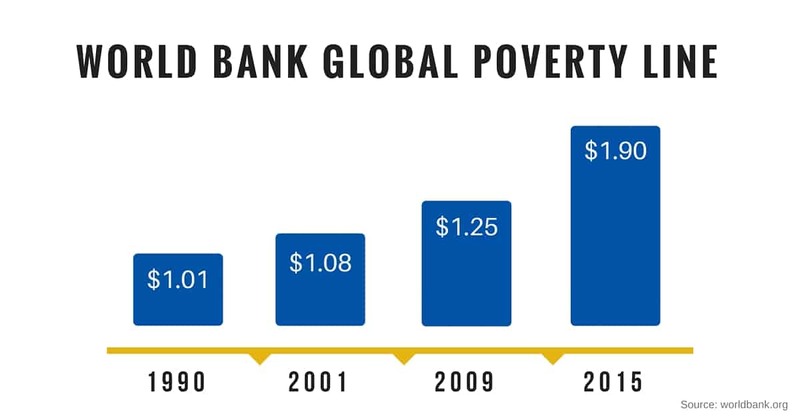 As shown in the graph below, the latest estimate of people living in extreme poverty would have been relatively the same at $1.25 and $1.90, alike. Of those living in extreme global poverty, approximately 400 million are children. As Dr. Todd explained, regardless of the global poverty line, the actual conditions children in extreme poverty face everyday remain largely unchanged. The global poverty line captures income and consumption data. 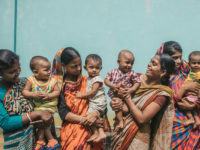 What it doesn’t reflect are other conditional circumstances and deficiencies that strip opportunity and hope from the poor, such as access to safe water, nutrition, high-quality education, and health and medical care. It is also unable to measure how each person manages the resources they’ve been given according to their needs at any given time. 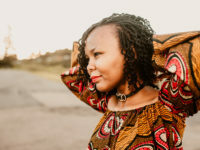 Those circumstances and needs run along an incredibly broad spectrum depending upon one’s location, gender, family makeup and even point in time, as individual countries experience periods of extreme progressive or regressive growth. The trend of people living at this level of poverty is one in decline. Research shows that more and more people are being lifted out of extreme poverty. In 2012, the number of people living in extreme poverty was approximately 902 million, or 12.8 percent of the world’s population. This was down from nearly 2 billion, or 37 percent of the population, in 1990. 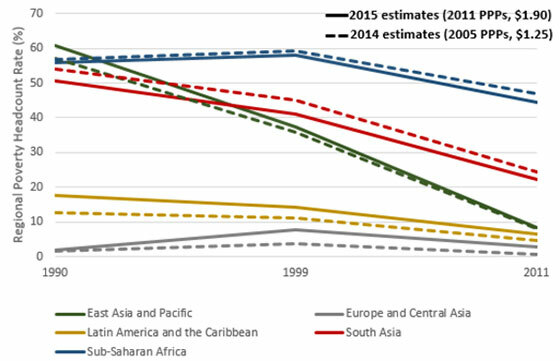 By the end of 2015, the World Bank projects that the number of the people living in extreme poverty at the new threshold will fall below 10 percent, to 702 million people. That’s 1 billion people lifted out of extreme poverty in the last 25 years! Truthfully, the actual business of measuring global poverty and setting a benchmark is tricky and complex and hardly ever absolute or all encompassing. 2030 – just 15 years from now – is the year upon which the United Nations has hung its hat to end poverty in all its forms everywhere. It’s the first of 17 Sustainable Development Goals adopted by 193 member nations at the 2015 United Nations Sustainable Development Summit in September. It’s a lofty goal. But a goal that many, including Compassion International, believe can be accomplished – and in our lifetime. While measuring global poverty will likely never be foolproof, these measurements and research and goals are what we’ve got to sharpen our ability to support, pray over and fight for those still caught in the cycle of extreme poverty. What you can rest assured in, amidst any uncertainty or confusion when faced with all this data, is that it won’t change Compassion’s tireless efforts to eradicate extreme poverty in our lifetime. God speaks often of the poor and needy in the Bible. His commands for us to give generously to and speak up for them weren’t tendered lightly. It also won’t change our focus on the child. Through our holistic child development programs, realized across more than 6,900 local churches in 25 countries, more than 1.7 million children living in extreme poverty are deeply cared for according to his or her individual needs. This, paired with a relationship between a sponsor and a child, offers a wellspring of hope and encouragement that’s impact is unparalleled. And it won’t alter our approach to releasing children from spiritual, economic, social and physical poverty – with the Church as the vessel and Jesus at the helm. 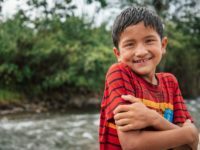 Each child we serve receives the lifesaving truth of the gospel in the context of their local church and is able to greet each day with the blessed assurance that they are known, loved and protected. And it certainly won’t alter our unwavering faith in Jesus Christ. It is because of the great God we serve that the children in our care will never feel or believe that they belong to a faceless, nameless crowd of “poor” – regardless of how it’s defined. Becca handles public and media relations for Compassion USA.